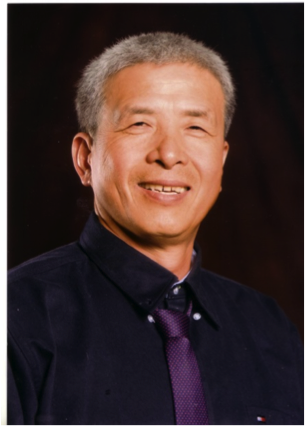 Welcome to our page on the Dept of Kinesiology International Exchange Program in China, directed by Dr. Gong Chen. Gong Chen, Doctor of Education from University of Arkansas, Fayetteville, currently a full professor at San Jose State University, specialized on instruction, research, publication, and promotion of self-defense education, expertise listed as following. 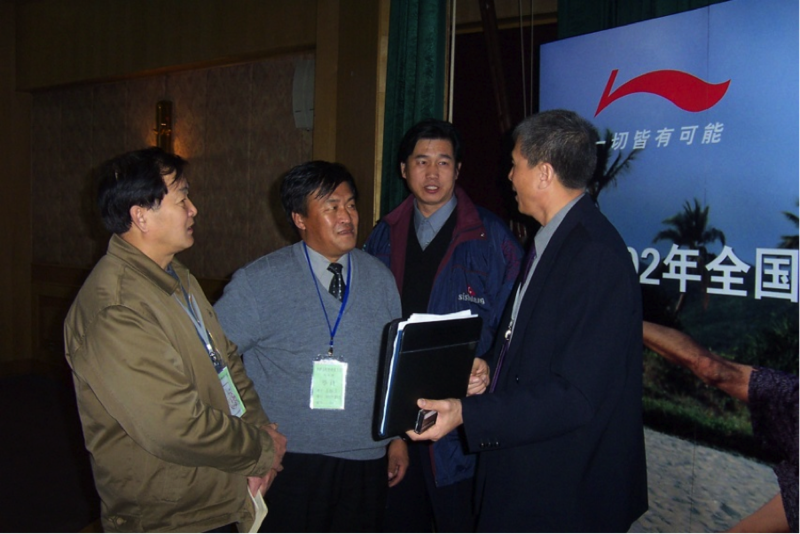 The following is a brief overview of Dr. Chen’s extensive international work. Curriculum design for universities: Invented SmarTough Self-defense Skill System in 1990- 1993 and presented at 1993 National Basic Instruction Program Convention. The physical self-defense system was commended by the convention as “the first systematic self-defense skill system”; invented SmarTough Self-defense theory system in 1993-1996, and presented at SW AAHPERD annual convention where the whole SmarTough Self-defense was commended as “the first system that turned self-defense into a branch of science”; brought this system into Beijing University in 2002 with Professor Rui Zhang; adopted the whole course in universities in China through the 2004 National University Self-defense Instructor Training Project (a major project in the 10-5 Plan in Ministry of Education) and 2005 Southwestern Regional University Self-defense Instructor Training Project; and adopted by Chinese Consulate General in San Francisco for Chinese oversea students associations in Western Region of USA for the Safety Year Project in 2010. Curriculum design and promotion in public schools: Invited by Strategies to publish designed self-defense curriculum contents for public schools in 1999; sponsored by California Association of Health, Physical Education, Dance and Recreation and California Health and Physical Education Framework to provide numerous workshops and lectures that trained public school teachers to teach self-defense in California schools since 2009; conducted a provincial project at Shaoxing on teaching self-defense in public schools in 2006; lectured to school principals and teachers on self-defense education at Xi-an in 2007, and lectured Shandong middle and high school principals at San Jose in 2012, 2013, and 2014; invited by Chinese Consulate General at San Francisco to write a proposal for the Safety Education Plan 2010-2020 for China’s Ministry of Education. Research and books: has conducted numerous studies on crime prevention and self-defense; the recent monograph presented systematic knowledge on chances of success in self-defense dealing with different types of attacks, and established a scientific base for self-defense education; self-defense books in English version included A new concept self-defense (1998), A comprehensive guide to self-defense (2004), teaching self-defense in California schools (2011); Mini studies on self-defense of college students, Comprehensive lab studies on chances of success in self-defense at different attacks; books in Chinese language includes Prevention of violent crimes and self-defense (1999), Safety and self-defense education for college students (2004), Self-defense (bilingual) in 2009, and Monitor their growth to stay away from violent crimes – dialogue with Chinese parents on self-defense of their children (2011). Beijing University is the number one liberal art university in China and is called as China’s “Harvard University”. Beijing University was impressed by the leading status of SJSU on self-defense instruction, promotion, and research and applications. They asked Dr. Chen to train their instructors and translated SJSU self-defense curriculum and Dr. Chen’s self-defense book into Chinese. 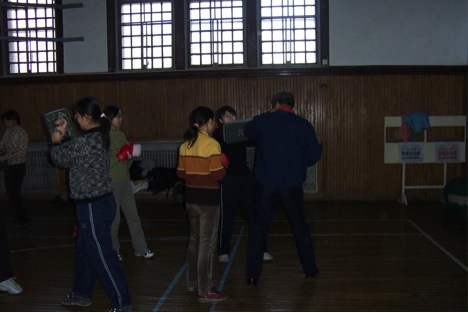 SJSU self-defense course was brought into Beijing University in September 2002, and became a model class for universities in Beijing. 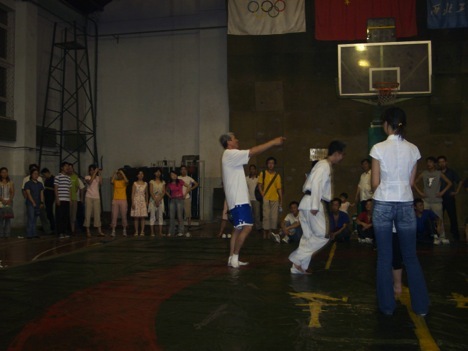 Dr. Chen visited his new self-defense class at Beijing University in December 2002. In December 2002, Dr. Gong Chen was invited by Education Ministry of China to lecture on SJSU Activity Program/Activity Classes and Basic Instructional programs in USA at 2002 National Top 280 University Physical Education Department Chairs Training Project. He was the only foreign speaker invited, and his lecture was commended as the “Most Useful Presentation” by the chairs. A speech with PowerPoint slides that surprised the participants. These chairs saw the American ways of teaching physical activity classes. Participants wanted to learn more. 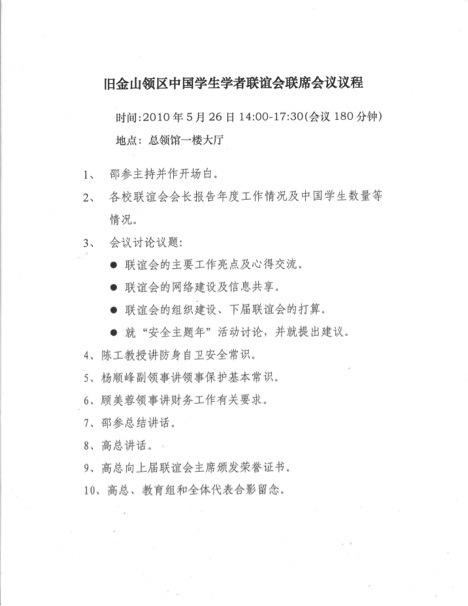 After SJSU self-defense course was brought into Beijing University in 2002, there was a huge influence on universities in China. Intensive requests for self-defense education were brought up for the attention of the Chinese government and universities. Chinese government launched a milestone project in 2004 carried on by Beijing University, Ministry of Education in China, and SJSU. The project was “National University Self-defense Science Forum/Instructor Course Training Project (a major project in the 10-5 National Plan in Higher Education). Many universities across China participated in the project, and students included top Chinese martial arts instructors and police university professors. The project adopted entire SJSU SmarTough Self-defense System invented by Dr. Chen during 1990-1996. 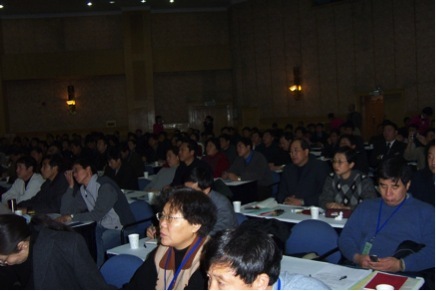 Dr. Chen was invited to be the sole instructor for the 4-day training projects. Dr. Chen was lecturing on mental strategies of self-defense and instruction. Participants were practicing physical self-defense skills with Dr. Chen. 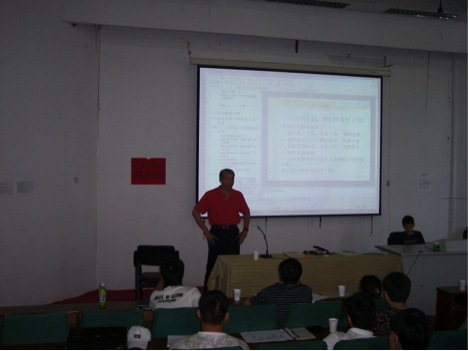 In June 2005, Dr. Gong Chen worked with Shaoxing University of Sciences and Arts to train self-defense instructors for universities in Southeastern Region of China. The SJSU SmarTough Self-defense System invented by Dr. Chen was adopted by the projects, and Dr. Chen served as the sole instructor for the 3-day training project. Shaoxing University of Science and Arts sent seven instructions to learn self-defense, and started 30+ sessions of self-defense classes in fall 2015 with full enrollment in every class. Dr. Chen was giving introduction on SmarTough self-defense. Dr. Chen was demonstrating physical self-defense skills. A huge welcome sign for Dr. Gong Chen. 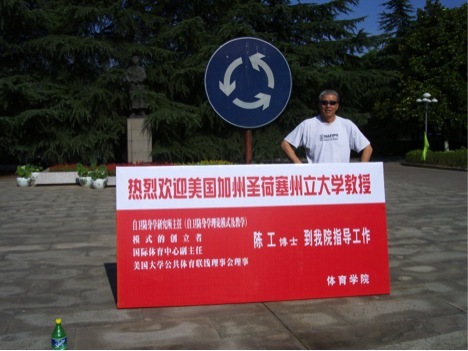 A huge slogan represented the sincere welcome to self-defense education. 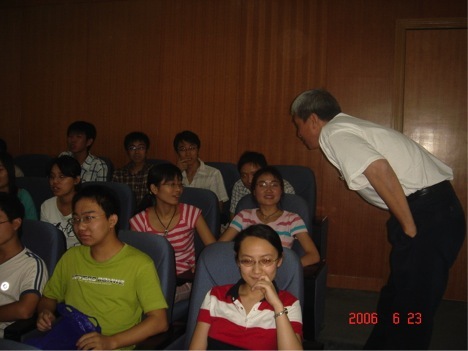 In June 2005, Dr. Gong Chen was invited by Northwestern Polytechnic University (top ten in China) to give a speech on self-defense education at their 100 fame speech series. 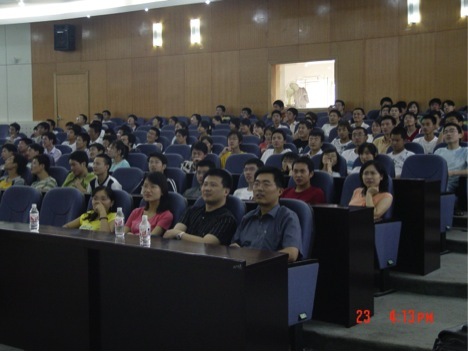 Dr. Chen also gave a lecture to public school principals and teachers on self-defense, a presentation to university police and security force, and a workshop for volunteers. Dr. Chen was also invited to give an open demonstration of SJSU SmarTough Self-defense to university students, university Tae Kwon Do team, and university Chinese wrestling team. 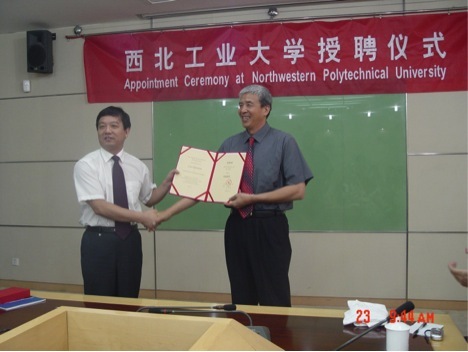 Dr. Chen was awarded as the first foreign guest professor. 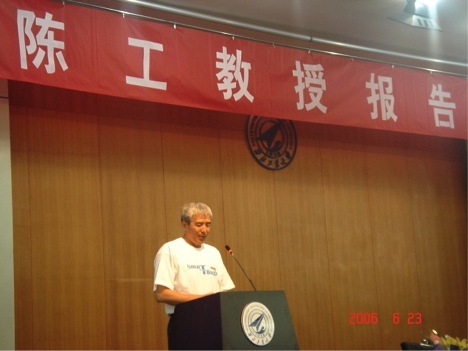 Dr. Chen was giving a speech at the 100 Fame Speech Series. Students were excited about learning self-defense to protect themselves since they never had a chance before. They even did not know there is such an useful class for them. Dr. Chen was communicating with students during the speech, made students feel good. 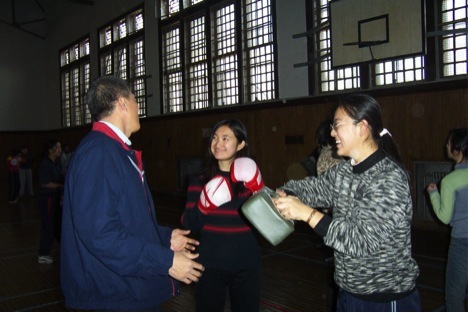 Dr. Chen introduced self-defense education to school principals and teachers, and urged the government and schools to start their self-defense classes. 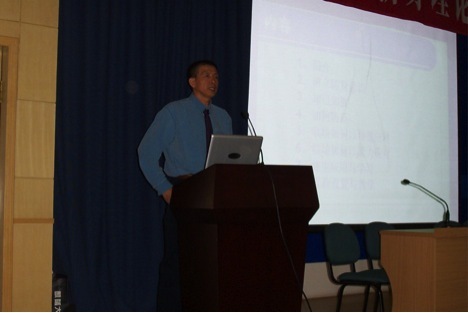 Dr. Chen was invited to lecture on self-defense and crime prevention to university security guards. 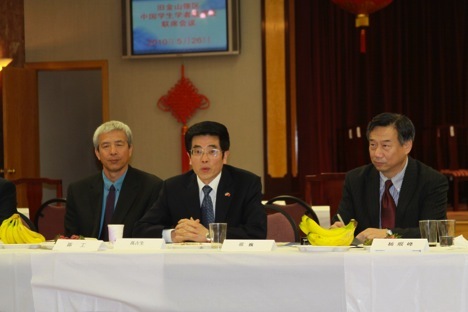 In May 2010, Chinese Consulate General at San Francisco organized “Safety Year Project for Chinese students in universities at Western region. 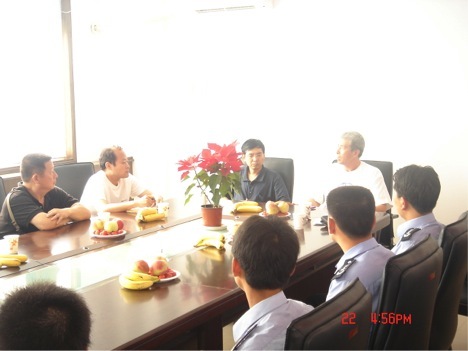 Dr. Chen was invited to serve as the consultant general for crime prevention and self-defense. 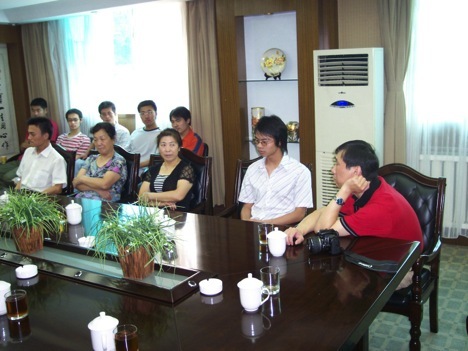 He gave a presentation to Chinese students association presidents of these universities. 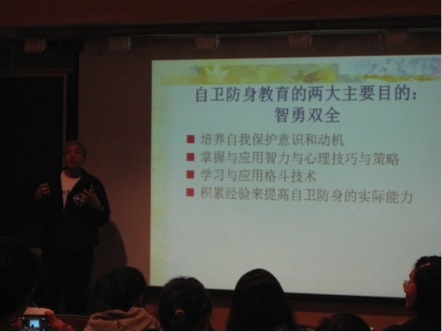 Dr. Chen lectured self-defense for Chinese students at UC San Francisco. 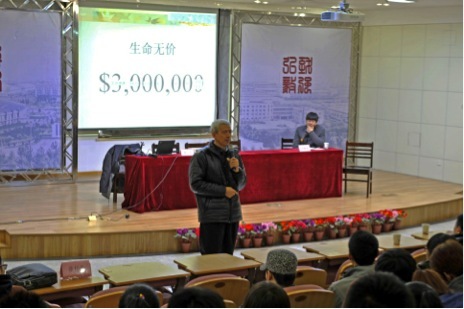 Dr. Chen was invited by three Chinese universities to lecture and present self-defense for undergraduate and graduate students. 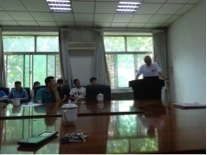 He presented “Happy learning self-defense” to undergraduate students at the Aoxiang Noted Speaker Series, “Theory and practice of self-defense” for graduate students, and “Hands-on self-defense for international classes at Northwestern Polytechnic University at Xi-an. 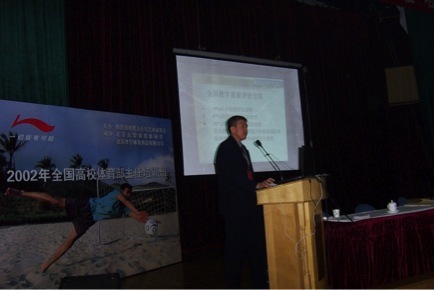 Dr. Chen then presented “Self-defense for all” for graduate students and junior faulty at the Health and Physical Education Expert Forum at Shenyang Sport University. 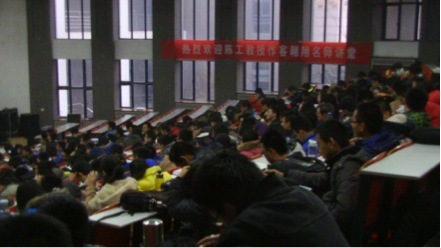 Furthermore, Dr. Chen presented “Self-defense for life” at Shandong University (Top ten in China). Dr. Chen was awarded as guest professor by College of Physical Education at Shandong University. Dr. Chen presented self-defense at Aoxiang Noted Speaker Series at Northwestern Polytechnic University at Xi-an for undergraduate students. Dr. Chen lectured hands-on self-defense to several classes in the International Program at Northwestern Polytechnic University. Dr. Chen then presented “Self-defense for all” for graduate students and junior faulty at the Health and Physical Education Expert Forum at Shenyang Sport University. 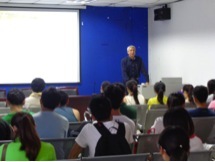 Dr. Chen presented on “Self-defense start from me” at Shandong University. 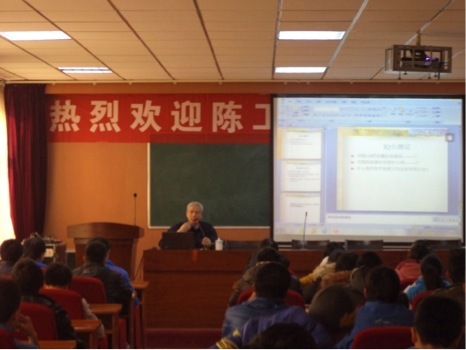 Dr. Gong Chen was invited to give lectures on self-defense science and education to undergraduate and graduate students at three Chinese universities in May and June 2015. 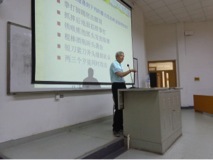 He presented “Self-defense science for your life” for undergraduate students at Shandong University of Finance and Economics, “The need for self-defense – what new research say about Chinese university students who became victims of violent crimes” for graduate students at Shandong University, and “Protecting your life is your ultimate goal – a dialogue with graduate students at Sichuan University”. He also shared his two new longitudinal research projects “A comprehensive study on sexual attacks to k-12 school students by teachers in Chinese schools” and “A comprehensive study on violent crimes to Chinese universities students with Chinese administrators, faculty, and students.